Most audiences were introduced to Austrian actor Christoph Waltz through his Oscar-winning performance as Col. Hans Landa in Quentin Tarantino's Inglourious Basterds. He was brutal, brilliant and quite clean shaven. I point out that last item because just about every time we've seen Waltz since - be it while accepting his Academy Award, his appearance on Jimmy Kimme Live, or in Michel Gondry's Green Hornet - he's been rocking a pretty heavy beard. 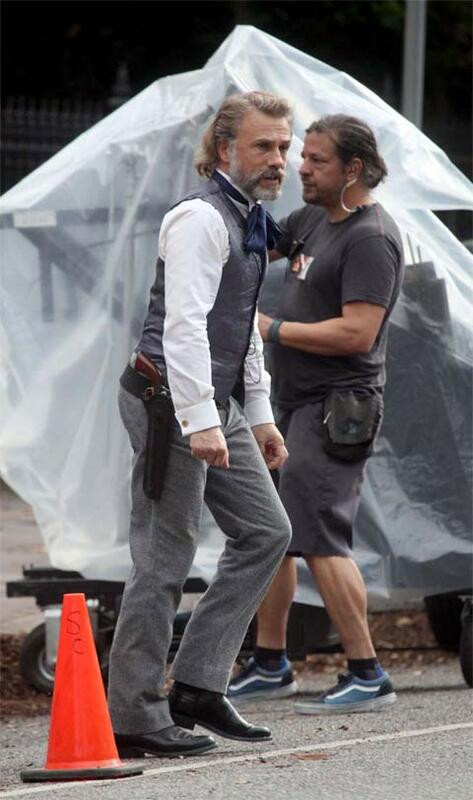 Now we've gotten a first look at Waltz in Tarantino's Django Unchained, and it looks like the filmmaker has incorporated the actor's normal style into the character - to an exaggerated point. ChristophWaltzfans.com (via The Playlist) has gotten their hands on the first look at Waltz's character - a German bounty hunter named Dr. King Schultz - and in this movie not only is he not clean shaven, but his beard is even thicker than what we normally see on the performer. 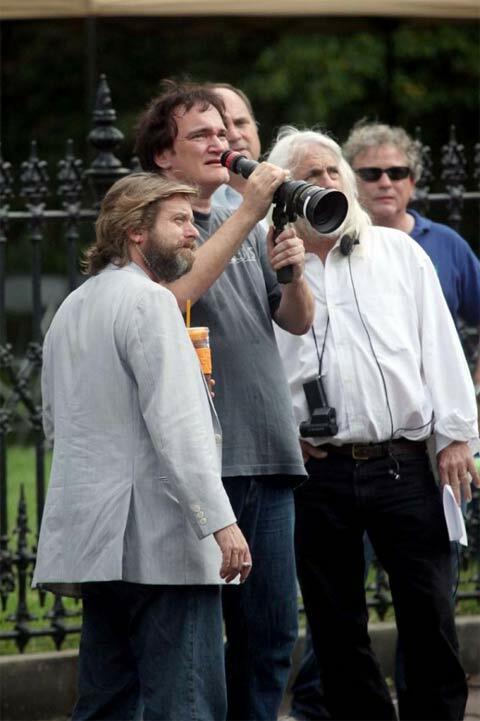 The site also has a shot of Tarantino on set standing next to what looks like a Zach Galifianakis doppelganger. See the shots below and head over to the original site to see them full size. The eighth film from Tarantino, Django Unchained follows the titular escaped slave (Jamie Foxx) as he teams up with a German bounty hunter (Waltz) to kill an evil slave owner (Leonardo DiCaprio) and rescue his wife (Kerry Washington). The film has a true all-star cast that also includes Samuel L. Jackson, Kurt Russell, Walton Goggins, RZA, Don Johnson, James Remar, M.C. Gainey, Dennis Christopher, Gerald McRaney, Anthony LaPaglia and Sacha Baron Cohen. The movie arrives Christmas Day and you can read more about it in our Blend Film Database.